Pat Dowell has been alderman of the 3rd Ward since 2007, when she defeated longtime incumbent Dorothy Tillman, who had been in office since 1985. Dowell has strong union support, including from SEIU Healthcare Illinois and AFSCME Council 31. The 3rd Ward’s alderman answers to a diverse group of constituents across the Near South Side, Bronzeville, Fuller Park, and Washington Park. Over the past few years, Dowell has drawn both ire and praise from her constituents for her actions on transportation, including blocking a new CTA Red Line stop on 15th and Clark and asking the CTA Board to end the #31 bus route. 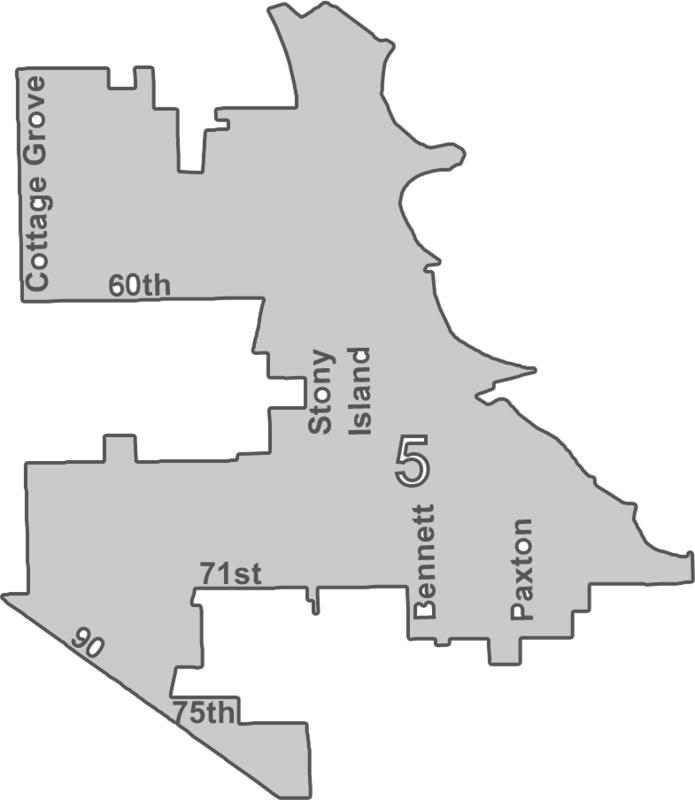 With a zig-zag boundary that includes parts of the South Loop, Bronzeville, Kenwood, and northern Hyde Park, the 4th Ward launched the career of a young Toni Preckwinkle. Before becoming president of the Cook County Board of Commissioners, Preckwinkle served as the ward’s alderman for nearly twenty years, and is still the ward’s Democratic Committeeman. (She is now running for mayor.) The current alderman, Sophia King, was appointed by Rahm Emanuel in 2016, and has close ties to both Preckwinkle and the Obamas, who still own a house in the ward. Her opponent, real estate lawyer Ebony Lucas, contends that King is another inside player. This is Lucas’s second time running against King; they previously faced off in a 2017 special election for the same office. At a recent forum, she cited the concentration of development in Hyde Park and Kenwood rather than Bronzeville, the closing of Michael Reese Hospital (despite the fact it was closed in 2009), and the near-closing of National Teachers Academy as evidence that King is simply rubber-stamping the mayor’s initiatives rather than advocating for her constituents. But King, who recently sponsored a resolution to explore reopening the city’s mental health clinics, contends that “parity is a priority,” and says she spent the past term listening to residents’ concerns. Leslie Hairston has successfully fended off a host of pretenders to the 5th Ward throne during her twenty-year tenure as alderman. This year, she faces two challengers: former Hyde Park Herald editor Gabriel Piemonte and activist William Calloway. Since he announced his candidacy last March, Piemonte has been active on social media, posting an extensive collection of position papers to his campaign website and hosting Facebook Live sessions to discuss thorny points of local policy. His campaign has emphasized the importance of deliberative democracy, proposing elected “local development councils” for each neighborhood that would have the final say on development projects. When Calloway entered the race in November, Piemonte welcomed the competition: in a statement to the press, he wrote simply, “William Calloway is my brother, and I love him.” Calloway, who last year ran unsuccessfully for a seat in the Illinois House of Representatives, has been a leader in the movement for police reform. He played an instrumental role in securing the release of the Laquan McDonald video and led protests outside the courthouse for the entirety of Jason Van Dyke’s trial. 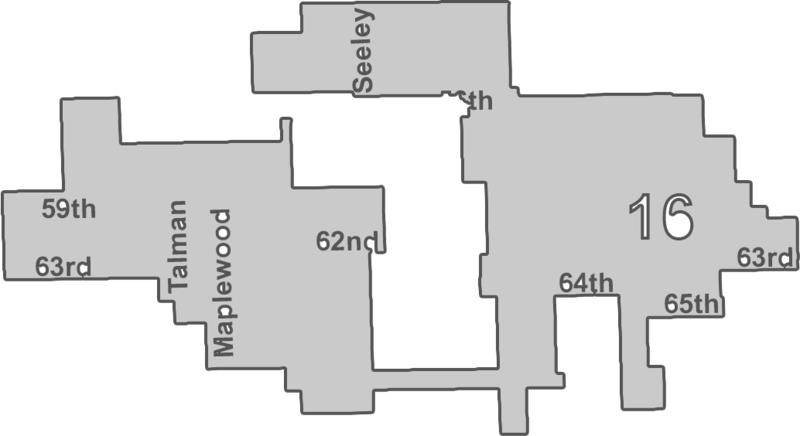 In the 6th Ward, which covers Chatham, Park Manor, and a corner of Englewood, incumbent Alderman Roderick Sawyer (son of brief acting Mayor Eugene Sawyer) faces challenges from Richard Wooten, a pastor and former police officer, and accountant Deborah Foster-Bonner. Sawyer ousted Daley-appointed Alderman Freddrenna Lyle by just over a hundred votes in a 2011 runoff, going on to join the Progressive Caucus and head the Black Caucus. Despite his membership in the Progressive Caucus, he has supported Mayor Emanuel in key controversial maneuvers, including the closure of five Englewood high schools; the plan involves building a new mega-school on the site of Robeson High School, which is in Sawyer’s ward. Without his support, it likely would not have been approved. 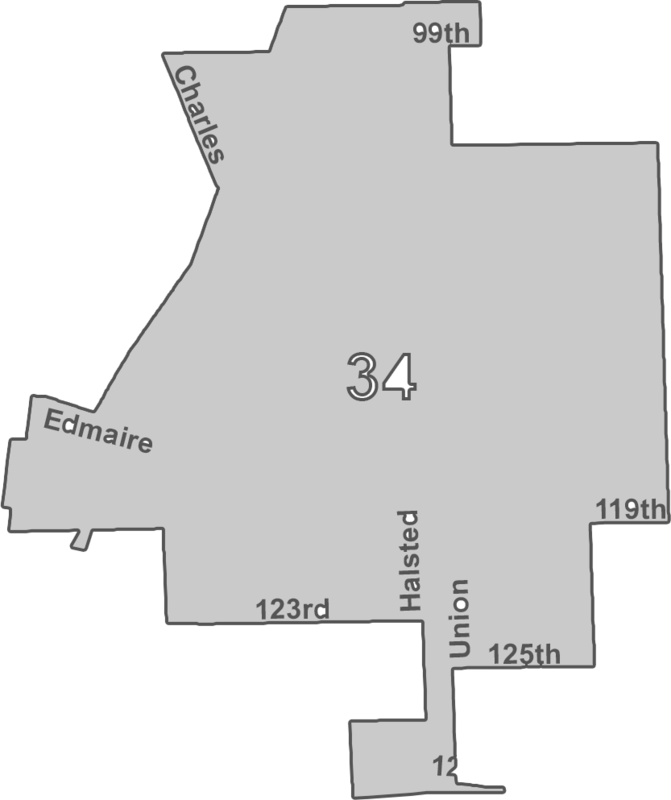 Michelle Harris was appointed 8th Ward alderman by then-Mayor Daley in 2006. This year, she will face three challengers: educator and community activist Jewel Easterling-Smith, tax assistant and community organizer Linda Hudson, and former barber and real estate agent Faheem Shabazz, who ran for the position in 2011 and 2015. 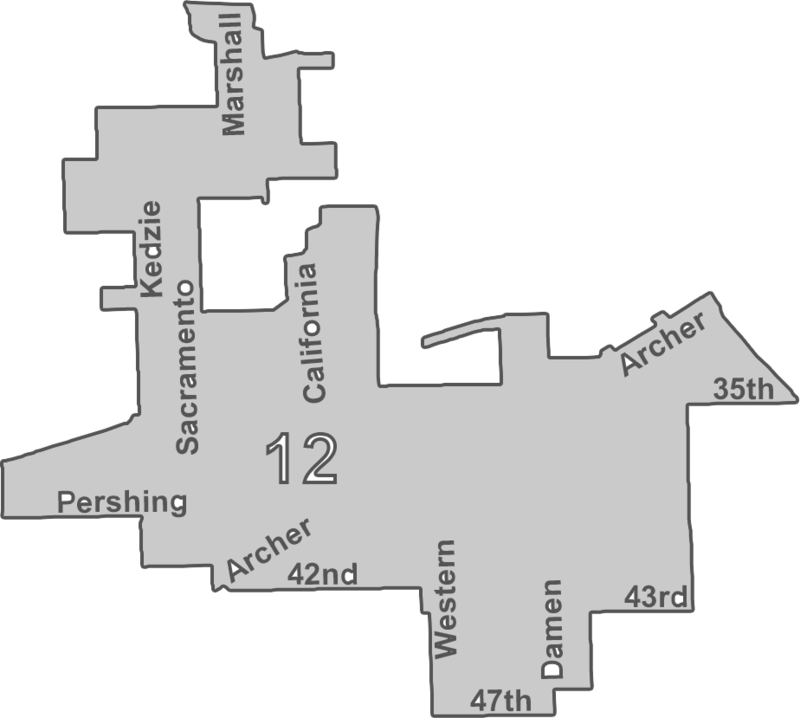 Harris, whose ward includes parts of Avalon Park, Greater Grand Crossing, and Burnside, had spent years in city government before becoming alderman, in positions like chief of staff for former 8th Ward Alderman Lorraine Dixon and 8th Ward Streets and Sanitation superintendent, and mentioned her work with striking hotel workers and the Neighborhood Opportunity Fund to promote businesses in her Sun-Times candidate profile. Longtime alderman Anthony Beale is seeking his sixth term in the 9th Ward, which covers Roseland, Pullman, and Riverdale. The other candidates in the race are social worker and organizer Cleopatra Watson, police officer Paul Collins, and consultant Essie Hall. Of these three, Collins is the only challenger with money in his campaign fund, most of which he donated to himself. On his website, Collins encourages voters to read a Chicago Crusader article claiming that Beale was one of several Black alderman who took money from Rahm Emanuel in exchange for voting to pay a settlement to the McDonald family after the murder of Laquan McDonald (a move apparently intended to keep the shooting out of the spotlight). The latest scion of the Daley family, Patrick Daley Thompson, is seeking his second term as alderman of the 11th Ward. 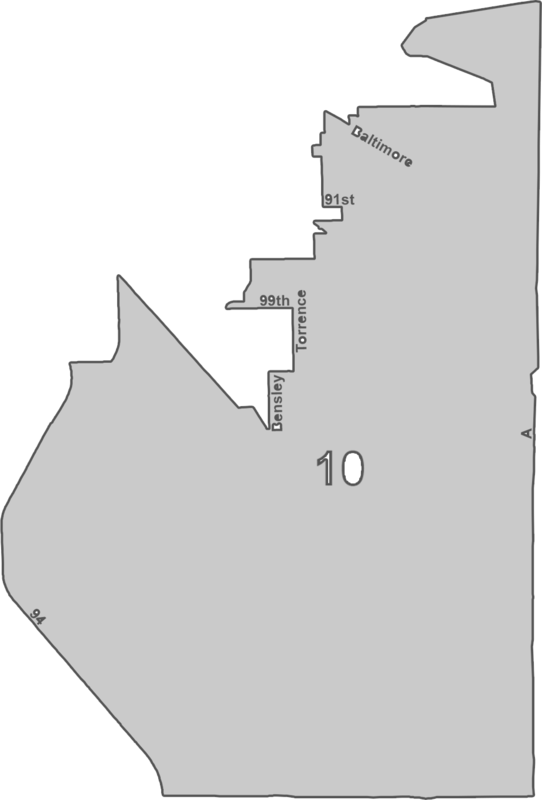 The ward includes Bridgeport, the family’s historic power base, as well as Canaryville and parts of Pilsen, Chinatown, and University Village. 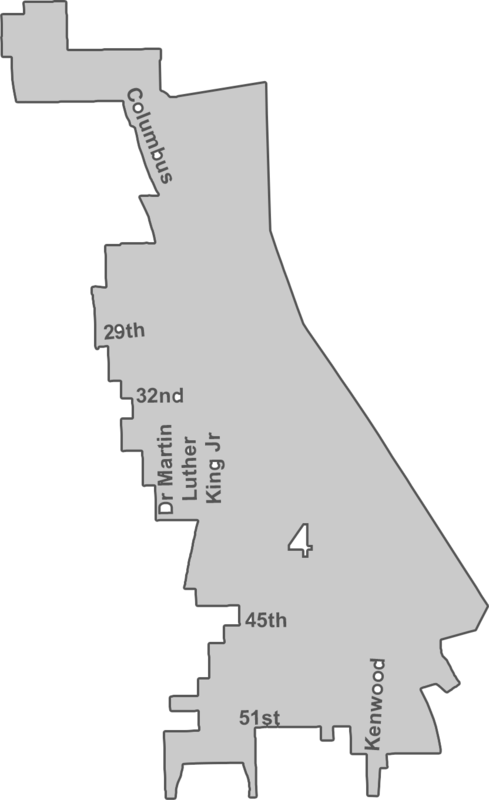 Despite the ward’s history, Thompson only eked out a narrow victory in 2015 after being forced into a runoff against law student John Kozlar (now in a longshot race for mayor). This year, he faces David Mihalyfy, an assisted living aide and labor activist who was involved in the successful unionization of graduate students and student library workers at the University of Chicago. Alderman George Cardenas is running for re-election in the 12th Ward, which covers the majority of McKinley Park, as well as parts of Brighton Park and Little Village. Cardenas ran unopposed in 2015, after managing to knock his challengers off the ballot. This year, however, Cardenas faces three challengers who have overcome objections to their ballot petitions: Pete DeMay, Jose Rico, and Martha Rangel. Pete DeMay is a union organizer who lives in McKinley Park. He has called for a “Green New Deal” for Chicago, making the environment and jobs centerpieces of his campaign. DeMay previously ran against Cardenas in 2015, but was booted from the ballot after a number of signatures on his petition were invalidated. Little Village resident José Rico is a former CPS principal and now a senior vice president of community investment at United Way of Metropolitan Chicago. He briefly worked for the Obama Administration during the president’s first term, serving as the executive director of the White House Initiative On Educational Excellence For Hispanics. Rico’s policy platform calls for renewed investment in healthcare, education, jobs, and housing—with the overarching aim of reducing inequality and violence. Martha Rangel has worked in early childhood education and also lives in McKinley Park, but information on her policies is scarce. 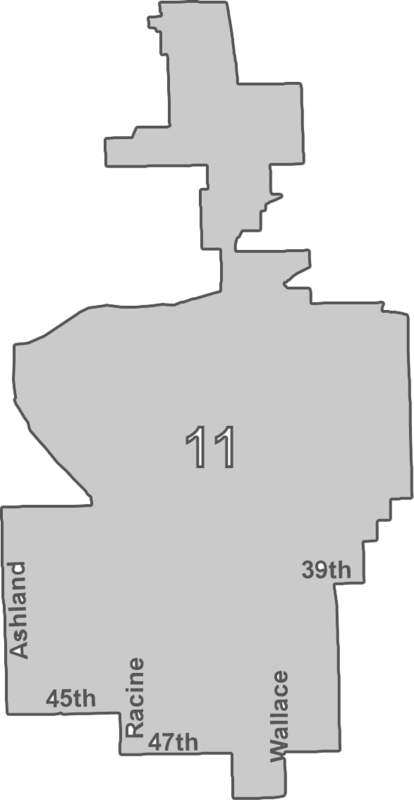 The 13th Ward is a majority-Latinx ward that wraps around — but does not include — Midway Airport, covering most of Clearing and West Lawn. Alderman Marty Quinn has been comfortably ensconced in this ward for eight years, thanks to a strong relationship with Mike Madigan, the powerful House Speaker and president of the Illinois Democratic Party. 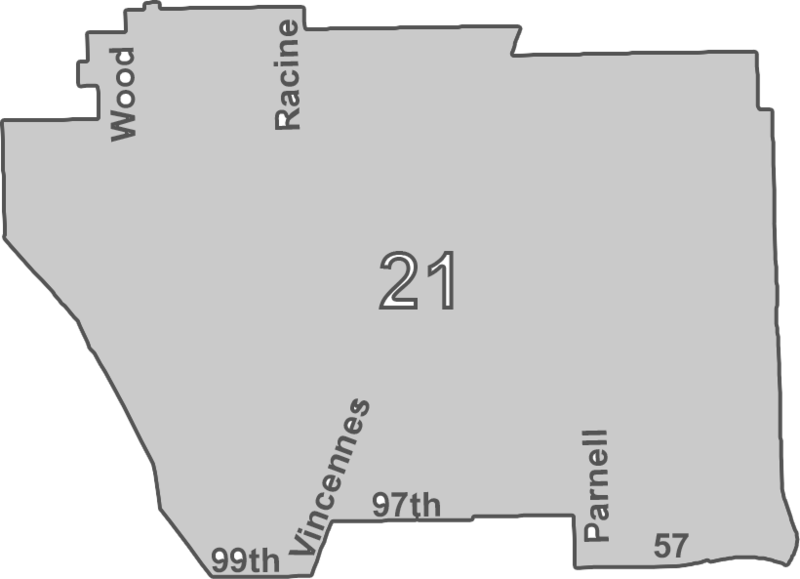 Madigan represents Quinn’s district and the two share office space. Quinn tends to stays out of the limelight (he is the only Chicago alderman without any social media presence), but this year he’s gotten himself into a minor elections scandal, which has shed light on both himself and his party’s shady election tactics. 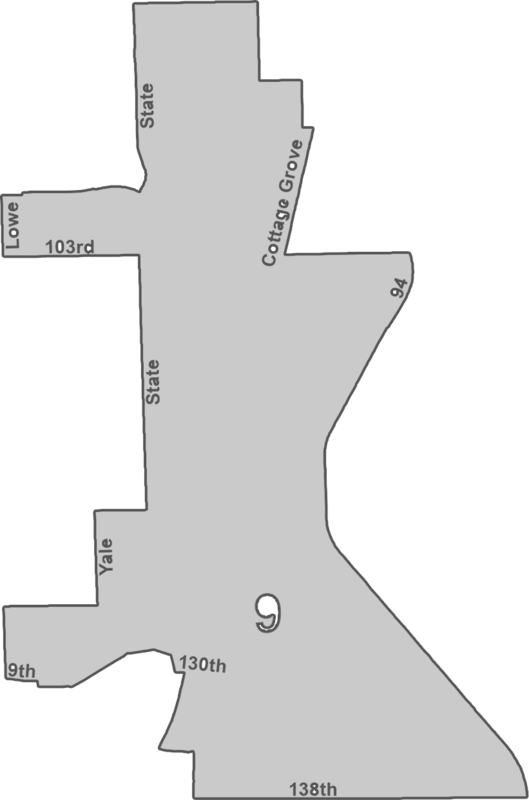 The 14th Ward, which includes Gage Park, Archer Heights, Garfield Ridge, and Brighton Park, is the site of what is arguably the most significant scandal in Chicago’s 2019 elections: at the beginning of this year, the FBI brought 14th Ward Alderman Ed Burke to court on federal corruption charges. Burke, who has $12 million in campaign funds, has been alderman since 1969, succeeding his father Joe Burke. Despite being caught on tape (allegedly) extorting a Burger King franchise, Burke announced shortly after his indictment that he was still running for reelection. The race has attracted the attention of Congressman Jesús “Chuy” García, who endorsed one of Burke’s challengers, Tanya Patiño, a civil engineer and a relative latecomer to the race. At the time of his endorsement, there were two other candidates who had ties to García: attorney Jaime Guzmán and college counselor José Luis Torrez. The congressman asked both candidates to withdraw and support Patiño, citing the need for a united front against Burke. Torrez agreed, but Guzmán elected to stay in the race. Last year, García backed Aarón Ortíz in his successful campaign against Burke’s brother, Dan Burke, in Illinois’s 1st state house district, which includes most of the 14th Ward. Patiño, who is also Ortíz’s girlfriend, worked on that campaign and says her work ethic in knocking on doors is the reason García endorsed her—a move which gives her visibility and likely increases her fundraising capabilities. At an aldermanic forum last week, Guzmán criticized García’s endorsement, saying that he and Patiño were trying to replace one political dynasty with another. At the forum, Burke, Guzmán, and Patiño focused on three broad issues: education, public safety and healthcare. While Burke touted his role in bringing the Esperanza Health Center to Brighton Park, Guzmán and Patiño emphasized the need for mental health services like clinics and supportive spaces. 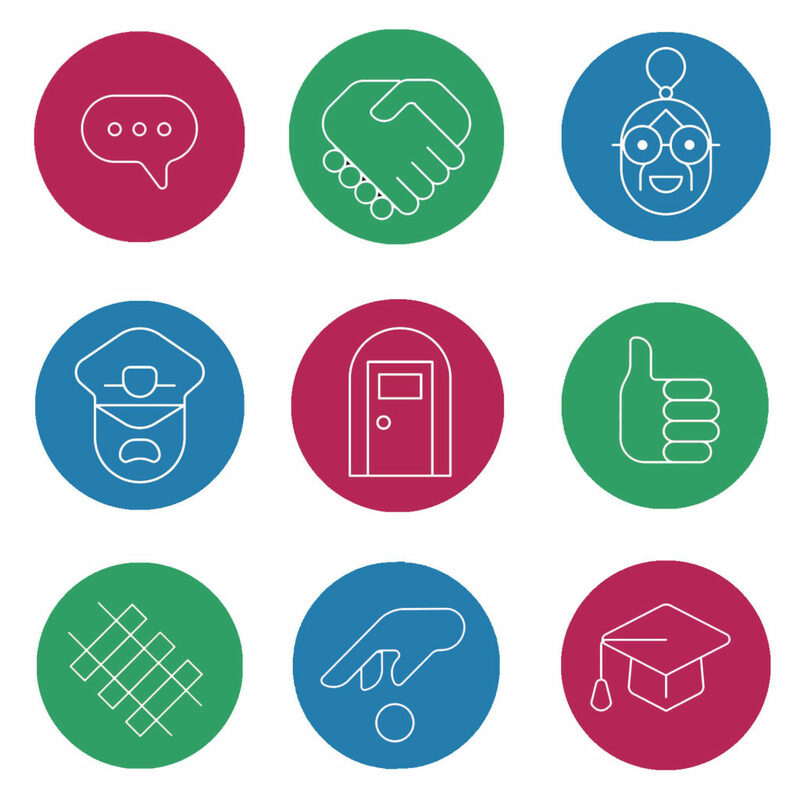 On public safety, the candidates have different takes: with his long-standing ties to the police union, Burke supports the city’s plan for a $95 million police academy and having officers walk more beats. Patiño was undecided about the police academy, but supported increased police presence in the ward, especially around schools. Like Guzmán, she also supports after-school and other intervention programs that provide kids with meaningful jobs and other opportunities. Guzmán is firmly against the police academy and opposed establishing a heavier police presence, at least until prevention programs had been extensively implemented. 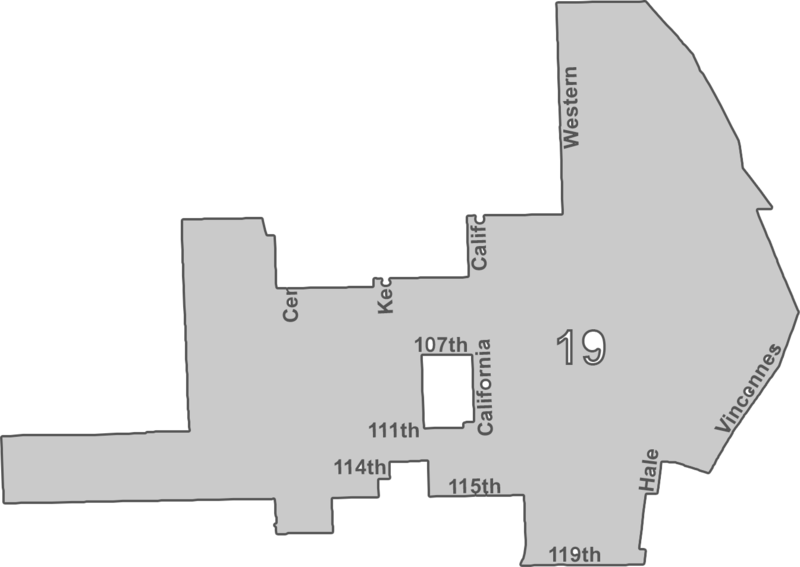 The shape of the 15th Ward is astonishing even by old-fashioned Chicago gerrymandering standards. It swings out in four directions, containing chunks of Back of the Yards, West Englewood, Brighton Park, and Gage Park. This Latinx and Black ward is currently served by Alderman Raymond Lopez, who won the seat in 2015. Lopez has the most money in the race and his top donor—after himself—is Rahm Emanuel. A member of the LGBTQ and Latino caucuses, Lopez styles himself as the “progressive champion of working families” who is “standing up to gangbangers,” but he has attracted a field of challengers from the left who complain Lopez is beholden to machine politics. (He counts Alderman Ed Burke as a mentor.) Ward residents even started a grassroots organization called “Fuera Lopez!” to oppose his candidacy, attacking his support for the mayor’s $95 million police academy and CPD’s gang database. Among Lopez’s four challengers, Rafael Yañez has raised the most money and likely poses the greatest threat; he took Lopez to a runoff in 2015. A police officer who opposes the police academy and is determined to reform the CPD, Yañez is backed by U.S. representative Jesús “Chuy” García, United Working Families, the Chicago Teachers Union, and other progressive groups. If elected, he hopes to join the Progressive Caucus. Toni Foulkes is the current alderman of the 16th Ward, which includes parts of Englewood, Marquette Park, and Back of the Yards. A Black woman who grew up in West Englewood, Foulkes has effectively been representing the area for 12 years. 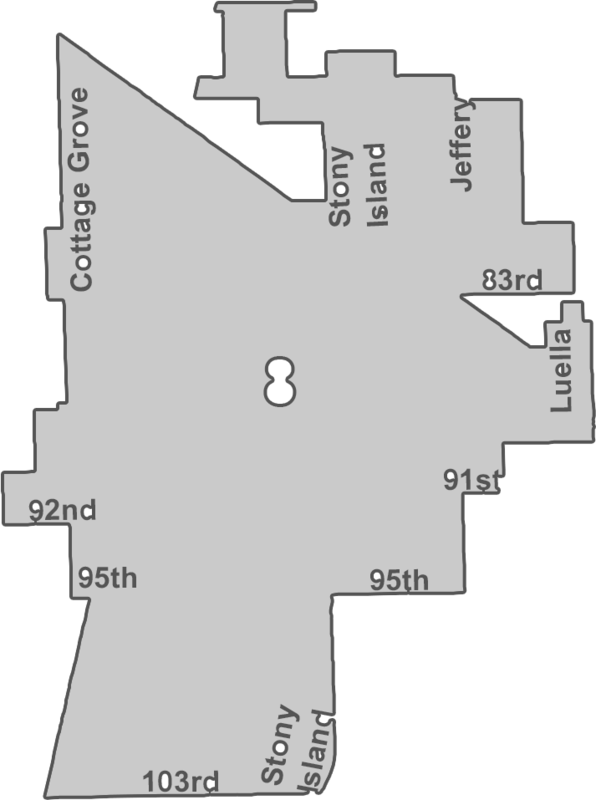 She was previously alderman of the 15th Ward, but when ward boundaries were redrawn in 2012 (as is required every ten years), the 15th Ward lost much of its portion of Englewood and became a Latinx-majority ward. In short, Foulkes lost her base. In 2015, she ran for alderman in the newly drawn 16th Ward because, she told DNAInfo, “Englewood is the community I was elected to represent in 2007.” Foulkes is a member of the City Council’s Progressive Caucus and recently received an A grade on the Center For Racial and Gender Equity’s Racial Justice Scorecard. She is backed by several major unions, including SEIU Local 73 and the Chicago Teachers Union. This year she faces five challengers: city worker LaTasha Sanders, youth organizer Kenny Doss II, educator Eddie Johnson III, Jeffrey Lewis (about whom little is known), and Democratic ward committeeman Stephanie Coleman. Coleman also ran in 2015, narrowly losing to Foulkes in a runoff. After some flip-flopping, current alderman Willie Cochran, indicted by a federal grand jury on corruption charges, decided in August that he wasn’t going to run for re-election. Very quickly, about fifteen residents of the ward—which includes parts of Woodlawn, Englewood, Back of the Yards, and Washington Park—announced they were vying to fill his seat. A bitter, recriminatory string of petition challenges ensued, as Kevin Bailey, the ward’s Democratic committeeman, asked the Board of Elections to kick pretty much everyone else in the race off the ballot. Now that the dust has cleared, there are nine candidates left, including Bailey, former teacher and nonprofit worker Nicole Johnson, community organizer Jeanette Taylor, former City Hall employee Anthony Driver, CHA development director Maya Hodari, pastor Denard Newell, CPD officer Jennifer Maddox, attorney Quandra Speights, and pastor and semi-perennial candidate Andre Smith. Incumbent Alderman Howard Brookins, Jr., who has served four terms since ousting Daley-appointed Leonard DeVille in a contentious runoff in 2003, is running for re-election against retired city zoning inspector Marvin McNeil, insurance broker Joseph Ziegler, Jr., and city Department of Public Health administrative assistant Patricia A. Foster. All three ran against Brookins in 2015 to represent the ward, which includes parts of Auburn Gresham, Brainerd, and Washington Heights, with McNeil forcing Brookins into a close runoff. Brookins notably has supported school closings and speed cameras, while showing some independence by voting against the parking meter privatization deal. However, Brookins didn’t vote once in opposition to Mayor Rahm Emanuel from April 2017 to November 2018. Brookins, the son of a mortician and former state senator who served as a Cook County public defender and prosecutor before first running for the seat in 1999, is considered one of the more vulnerable incumbent aldermen on the South Side; in addition to last election’s close runoff, he was forced into a runoff in 2007 against SEIU official Leroy Jones, Jr., and has flirted with running for other offices, including losing runs for Cook County State’s Attorney in 2008 and a judicial seat in 2016. In 2015, his former chief of staff pleaded guilty to accepting a $7,500 bribe to secure a liquor license, and his ward office was fined $5,000 by the city Board of Ethics for shoddy timekeeping in 2017. 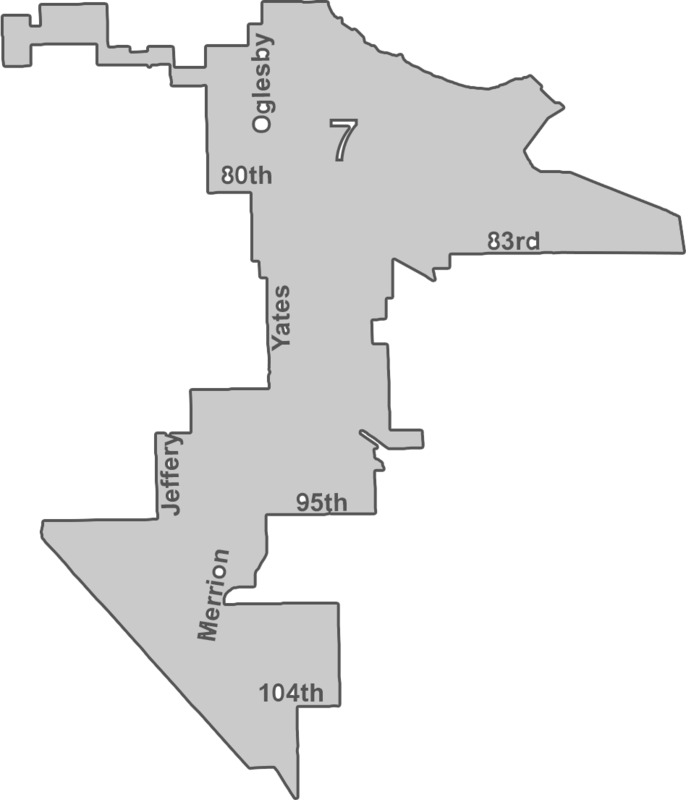 Incumbent Alderman Ricardo Muñoz has represented the 22nd ward since 1993, when he succeeded his mentor Jesús “Chuy” García. Last year, Muñoz announced that he would not be seeking re-election, and quickly endorsed his former education liaison Mike Rodríguez for the job. Rodríguez, the former executive director of Little Village nonprofit Enlace Chicago, is also the president of the 22nd Ward IPO and the ward’s the Democratic Committeeman (a position he inherited from his former boss after Muñoz stepped down in 2016). The other candidates are former cop and small business owner Neftalie Gonzalez (who has run for the seat three previous times), Little Village Chamber of Commerce commissioner Richard Juarez, and family case manager and organizer Liz Lopez. In the 23rd Ward, which includes parts of several neighborhoods around Midway Airport on the Southwest Side, incumbent Silvana Tabares is facing her first electoral test since her appointment to the seat in June. Tabares was chosen by Mayor Rahm Emanuel to succeed longtime Alderman Michael Zalewski, who abruptly announced his retirement in April after twenty-three years in office. 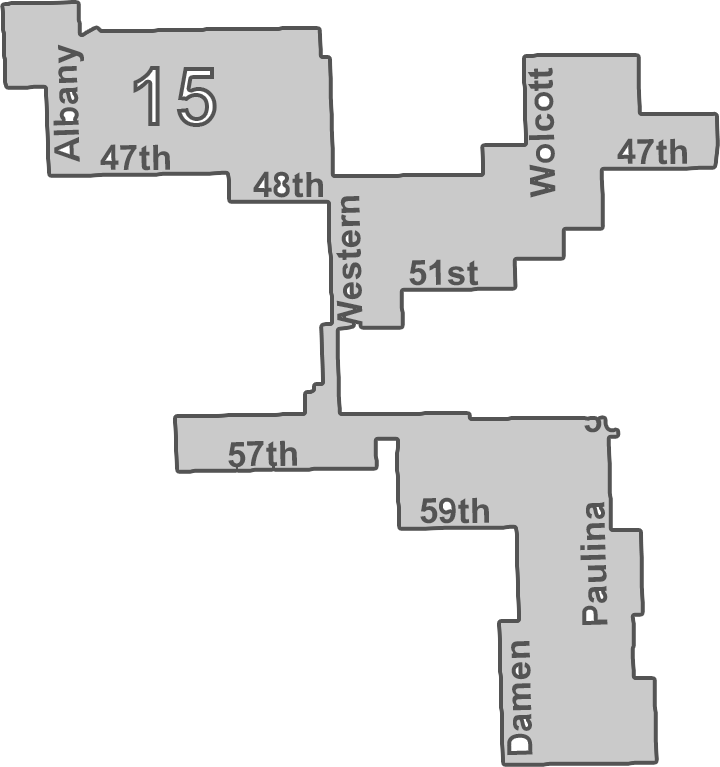 In the new ward map adopted by the City Council in 2012, Latinx aldermen pushed for an additional Latinx-majority ward on the Southwest Side. 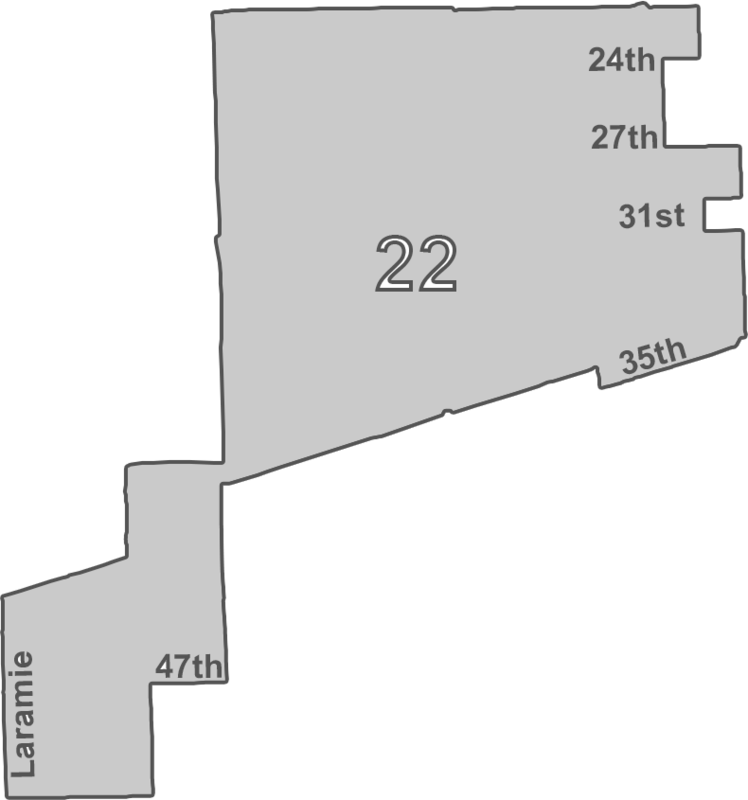 As a result, the 23rd Ward was extended east, losing parts of Zalewski’s base in Clearing and Garfield Ridge to add parts of Gage Park and Marquette Park, boosting the ward’s Latinx population to over sixty percent. 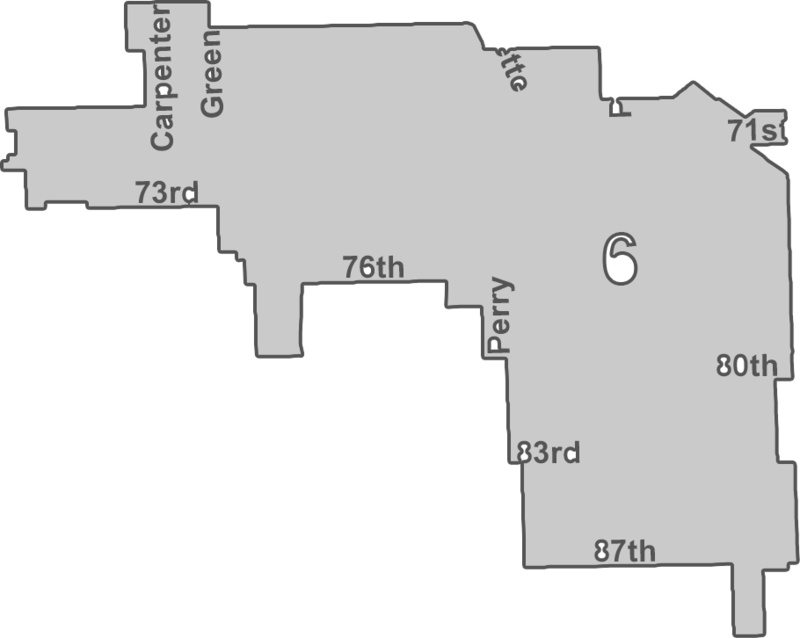 While Zalewski won re-election under the new boundaries in 2015, he cited the fact that “the ward is overwhelmingly Hispanic” in explaining his decision to retire. Housing—its affordability and development—is the defining issue in the contentious race for alderman of the 25th Ward, which covers most of Pilsen and Chinatown, as well as slivers of McKinley Park, University Village, the West Loop, and the South Loop. The ward also includes low-income housing communities like the Brooks homes and the Barbara Jean Wright Court. Outgoing Alderman Danny Solis is the longtime chair of the City Council’s Zoning Committee, and has a reputation for being friendly with developers: he has greenlit multiple large-scale developments which activists say have sped the pace of gentrification in the ward, particularly in Pilsen. All five candidates vying to replace Solis are Pilsen residents, and they all agree on the importance of keeping the ward affordable, stopping the displacement of working-class families, and involving the community in zoning decisions. Where they differ is in their strategies for achieving those goals and in their relative willingness to collaborate with developers or Solis affiliates. These divisions were made clear at a forum organized by a coalition of housing organizations last week. For example, former CPS principal Aida Flores has a few Solis staffers working on her campaign and is endorsed by Solis’s daughter. When asked about this affiliation at the forum, she emphasized the importance of leading with love and collaborating with stakeholders, including developers, to move forward. At the same forum, Flores was one of three candidates who declined to support rent control, citing the potential negative impact on homeowners and questioning its effectiveness. She was joined by Troy Hernandez, an IBM data scientist and the director of the Pilsen Environmental Rights and Reform Organization (PERRO), and Alex Acevedo, a nurse and son of a once-powerful political family who was endorsed by Solis in his run for state representative in 2016. Incumbent Alderman Jason Ervin was appointed to his post by then-Mayor Richard M. Daley in 2011, and in 2015 he successfully removed all of his challengers from the ballot through petition challenges. This election will be the first real time he’s faced any opposition—though not for lack of trying; he challenged the petitions of all of his competitors this time, too, knocking two off the ballot. For those who survive their challenges, the process is still costly and time-consuming and can take the energy out of campaigns, especially for challengers without significant campaign cash. Of Ervin’s three challengers, only Miguel Bautista, an IT engineer at the University of Illinois at Chicago who’s been endorsed by progressive group Brand New Council, has any campaign money to work with. 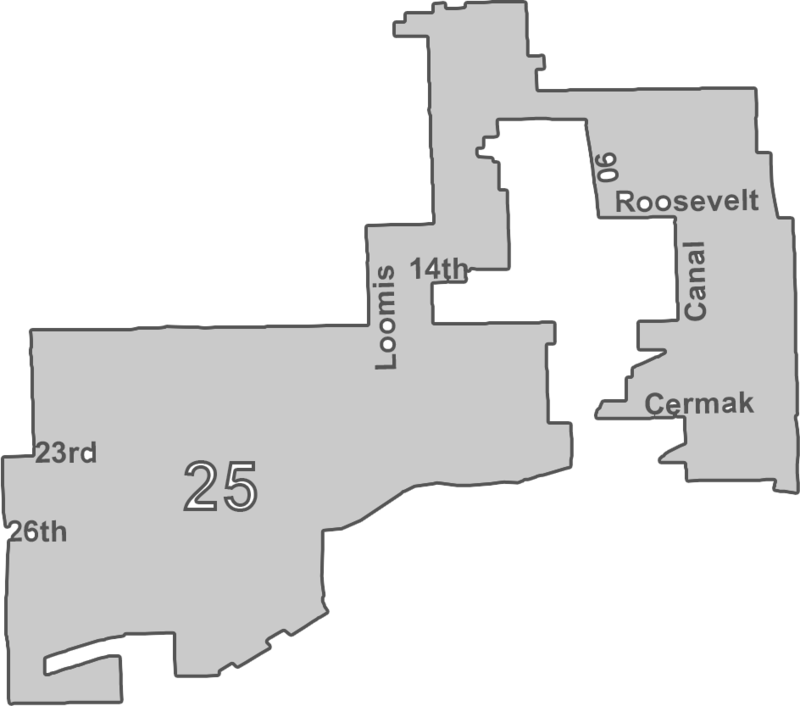 Covering Roseland, West Pullman, and parts of Washington Heights and Morgan Park, the 34th Ward has been controlled by the Austin family—current alderman Carrie, and her late husband Lemuel before her—since the late eighties. The incumbent, who has been reelected five times and serves as the chair of City Council’s powerful Budget Committee, has only received less than sixty-one percent of the vote once (all the way back in 1995, her first election), and seems unlikely to lose or even be forced into a runoff. Still, she has recently faced strong criticism from the Chicago Crusader for accepting a large donation from Mayor Emanuel that the newspaper speculates is tied to her—along with the rest of City Council—signing off on the settlement paid to Laquan McDonald’s family. She’s also taken heat from #NoCopAcademy activists for forcing a vote in the Budget Committee allocating funding to Emanuel’s proposed $95 million police training academy in West Garfield Park. Activists and attorneys claimed that she and Emanuel violated aspects of the state Open Meetings Act, but a lawsuit filed on those grounds was dismissed by a Cook County judge. 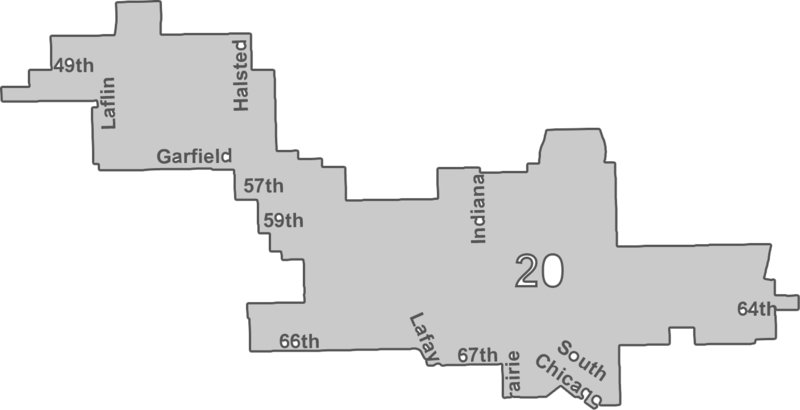 Hi Algie—we won’t be, because we only cover the South Side and we don’t have the capacity to cover twenty-five more wards than we already are. We appreciate you being interested in our coverage, though!